Addgene no longer distributes this item. Contact [email protected] for more information. 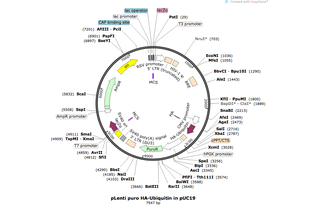 Ready-to-use Lentiviral Prep particles produced from pLenti puro HA-Ubiquitin (#74218). 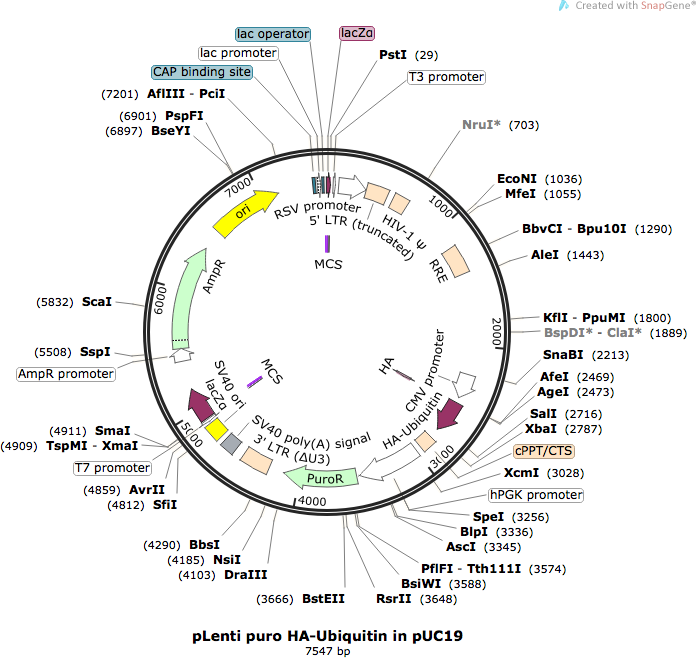 In addition to the viral particles, you will also receive purified pLenti puro HA-Ubiquitin plasmid DNA. 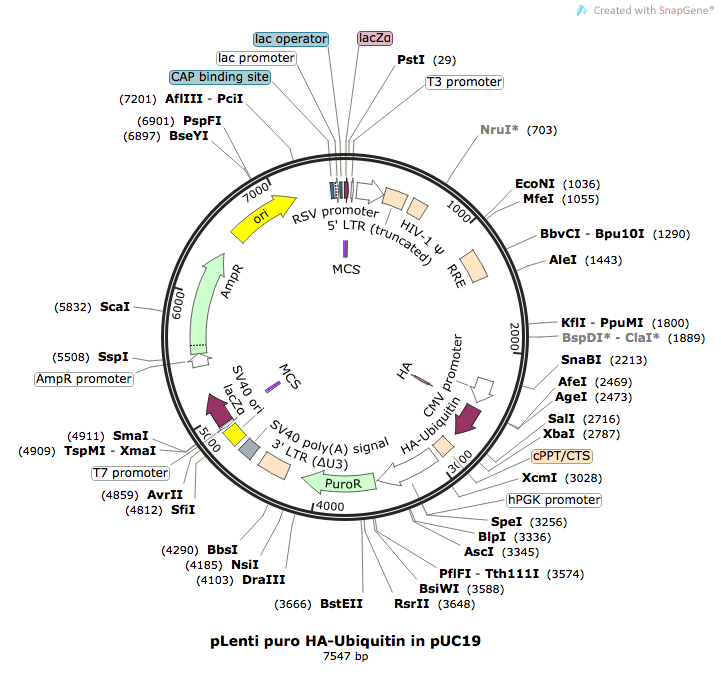 Pricing $100 USD for preparation of 1 mL virus + $30 USD for plasmid. Colony formation assay: A549 cells were transduced with serial dilutions of 74218-LV and treated with puromycin. Puromycin-resistant colonies were expanded for approximately 2 weeks, stained with crystal violet, and counted. PCR confirmation of insert: PCR was carried out on the viral preparation with primers targeting the puromycin-resistance gene and the SV40 polyA. The PCR product was visualized on an agarose gel for size confirmation.